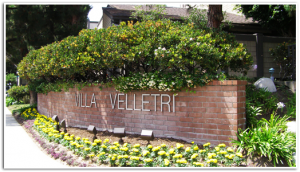 Villa Velletri, built in 1974, is a gated development walking distance to shopping, dining, the marina & much more. The units are multi level town home style with 2 car private entry garage. 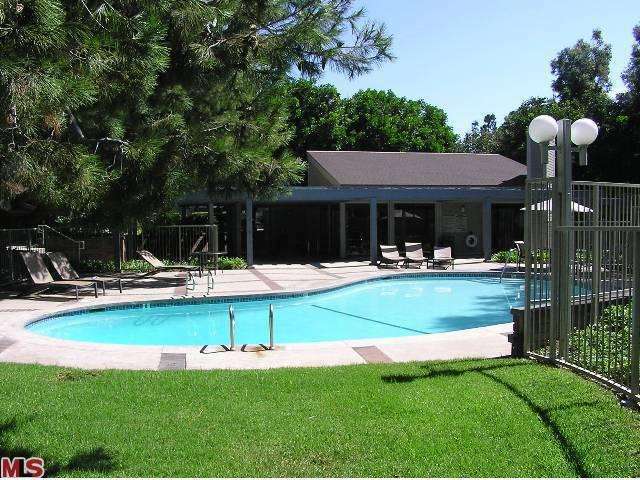 This resort style complex features 4 Pools, 4 Spas, Lush Grounds & Clubhouse. Villa Velletri is a private property of 12.7 acre that is home to a 481 tree park. 322 mature trees grow on the common grounds of the property (190 inside, 132 on borders). 117 were planted by owners in their patios. 42 trees added by the City of Los Angeles line our border streets. In comparison, only 9 parks in Santa Monica count more than 100 trees. The largest, Palisades Park, has a tree population of 1,038 followed by Clover Park with 372 trees and Barnard Way Linear Park with 244 trees.